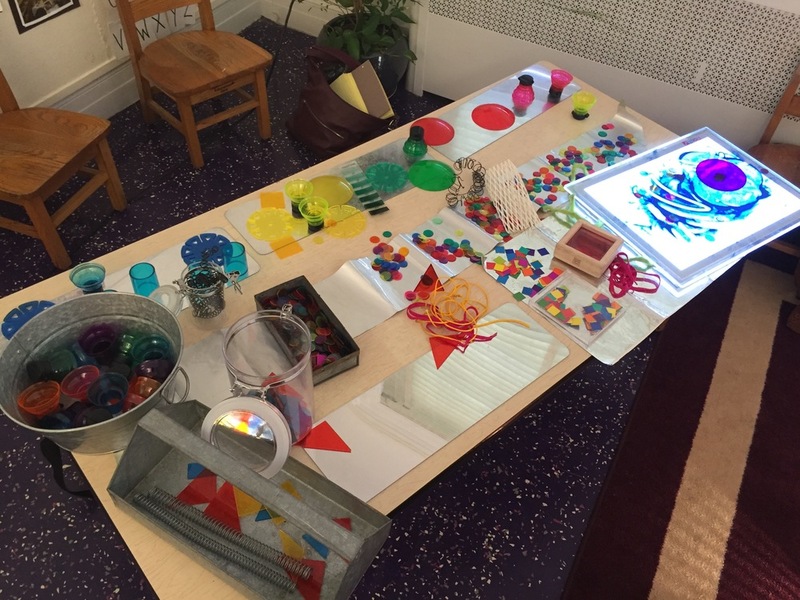 Materials that are open-ended and full of possibility should play a large role in early childhood classrooms and learning environments. 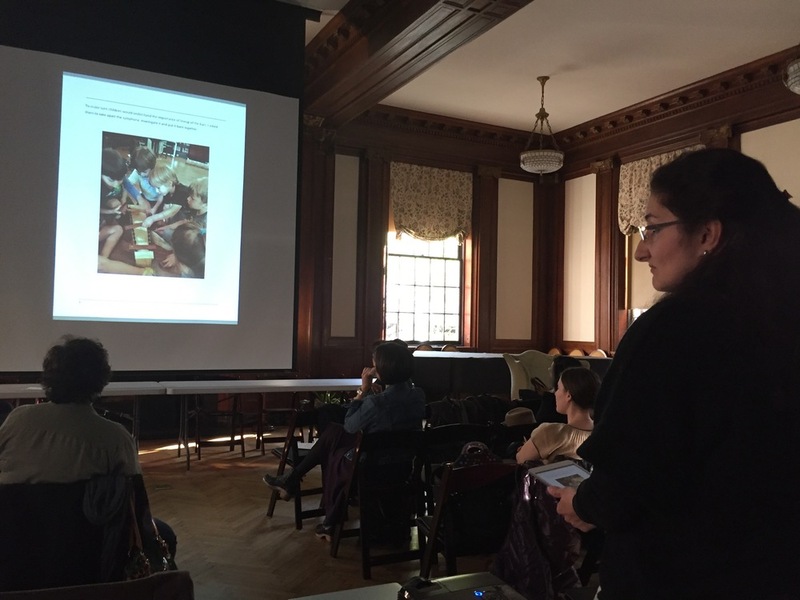 Our fourth Symposium will offer us opportunities to learn from artists and educators as they describe how materials function, serve, enrich, and inspire deeper understanding. 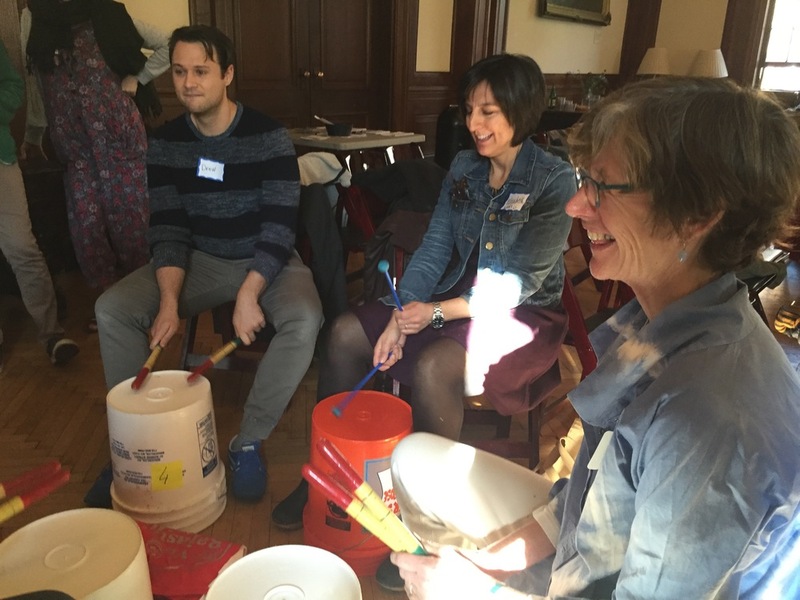 Coupled with hands-on experiences in each breakout session, we hope that participants – educators, administrators and parents – will come away with a changed vision of their pedagogical practice and understanding of children’s experiences with materials. 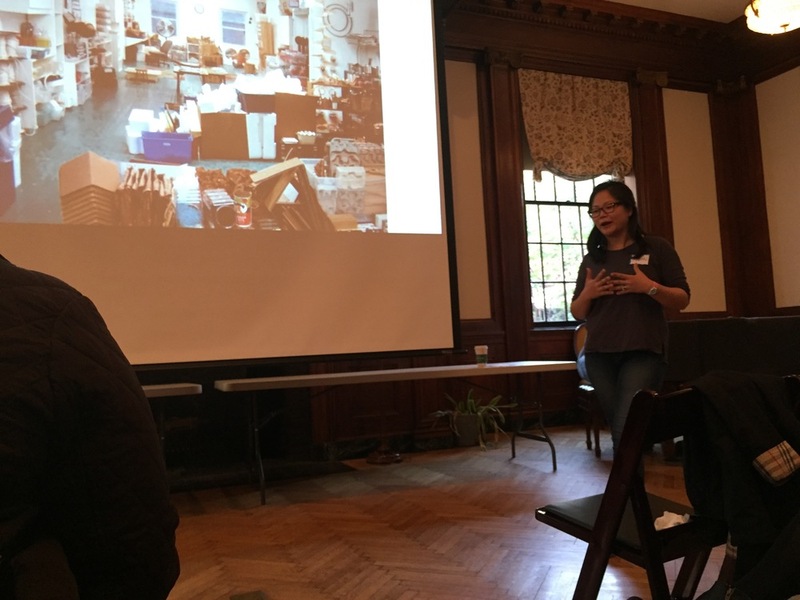 The Symposium will end with a panel featuring educators and parents from six schools in Manhattan and Brooklyn, who will share images of the material resources they created and stories of how they evolved from being just an idea to a resource that serves an entire school community. Jenna Wagman, Pre-K Teacher at P.S. 516 Sunset Park Avenues Elementary School, Brooklyn. 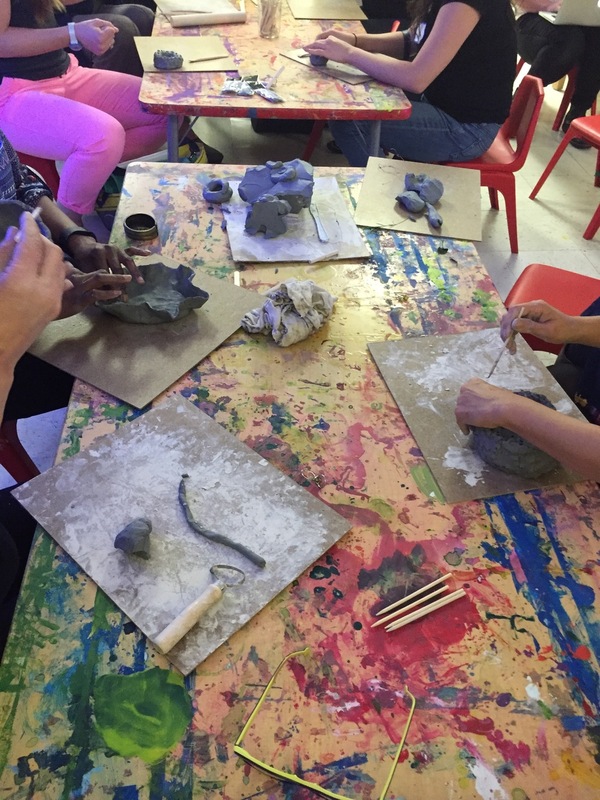 Clay is a special material to use in early childhood learning experiences – earthy and completely engaging to the senses. The effort it takes to manipulate is satisfying for our young students, however, clay in the classroom can intimidate even the most courageous teacher. This year, Jenna has introduced clay as an independently accessible material for her Pre-K students. 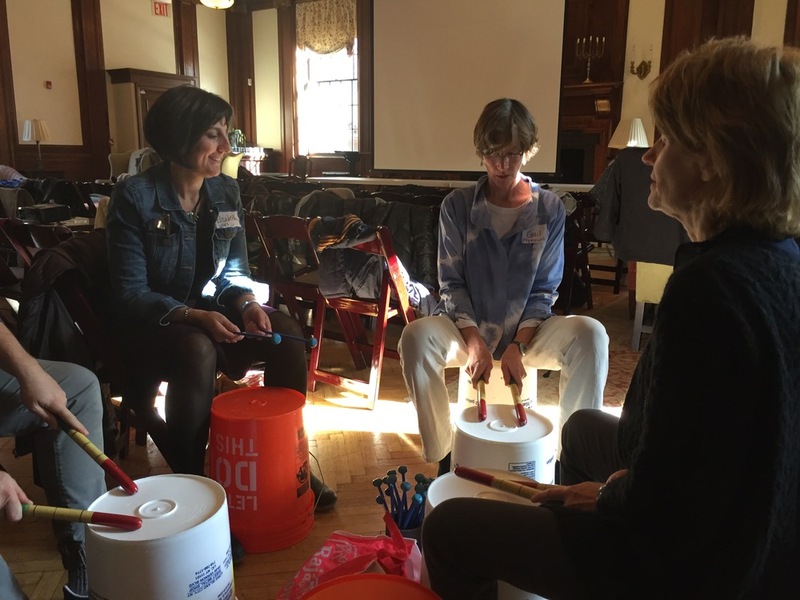 She will be sharing how this process has unfolded in her classroom, and will facilitate an encounter with clay so that participants can experience this material hands-on, and walk away with a plan on how it can play a role in their own school contexts. 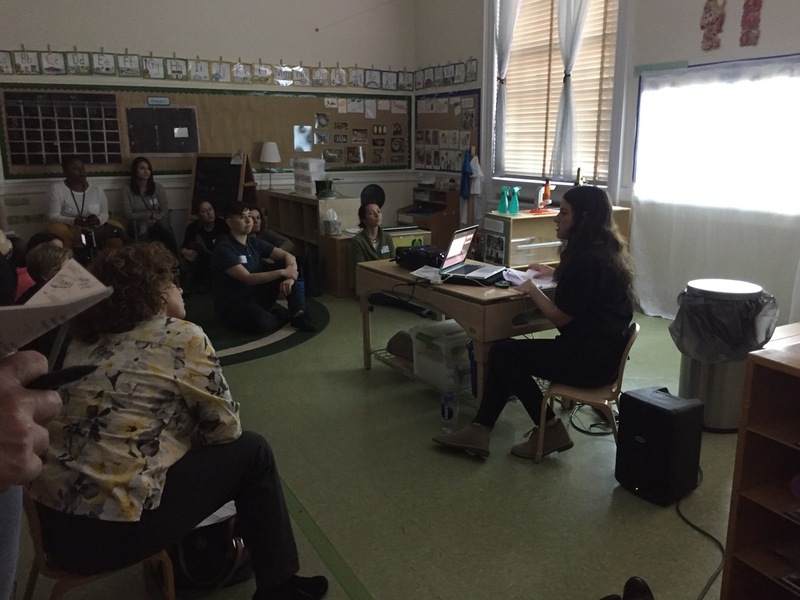 Jenna Samotin, 3s Teacher at the Early Childhood Center at Stephen wise Free Synagogue, Manhattan. The wonder of light and shadow, sound, magnetism– elements we can see, hear, or feel, can remain elusive and mysteriously abstract. Though a series of exploratory vignettes, this presentation will examine how children observe, interpret, research, and construct meaning around these familiar phenomena in a 3s classroom. 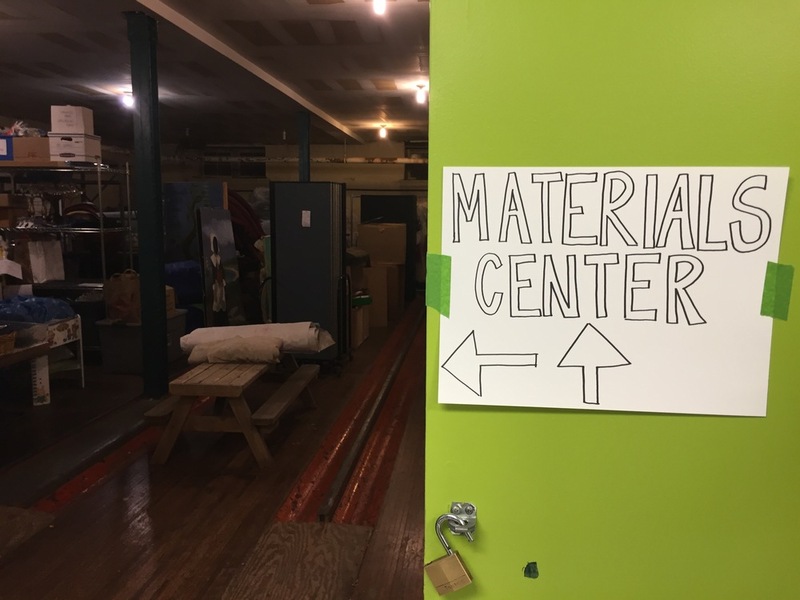 Participants will have the opportunity experiment with materials, exploring these concepts hands-on! We will also consider how a teacher’s own interests can generate enthusiasm in a classroom, and learn more about the value of shorter-term experiences, and how they can resurface and reincarnate throughout the year. Anetta Kotowicz, Music Teacher at Plymouth Church School, Brooklyn. 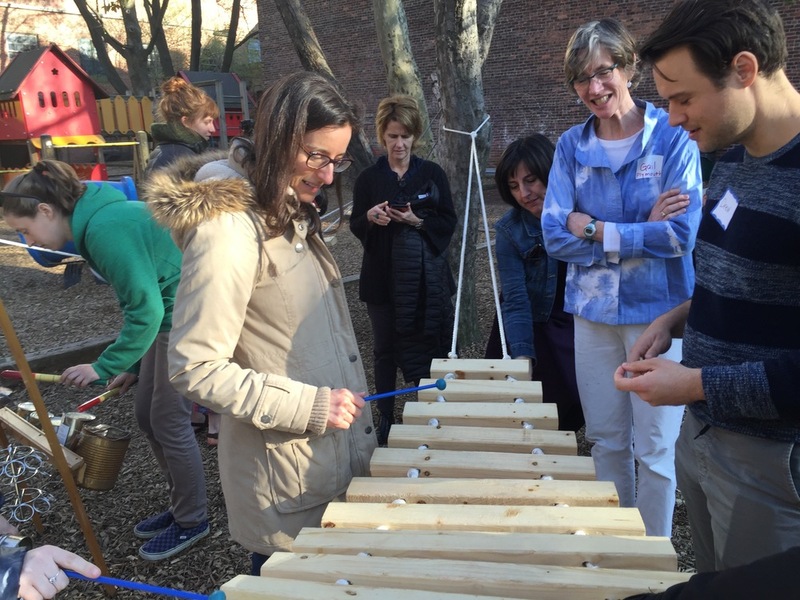 Children’s fascination with sound and music is a powerful, organic force and can be an integral tool in enhancing children’s learning experiences, particularly when children are given opportunities to explore a variety of materials. 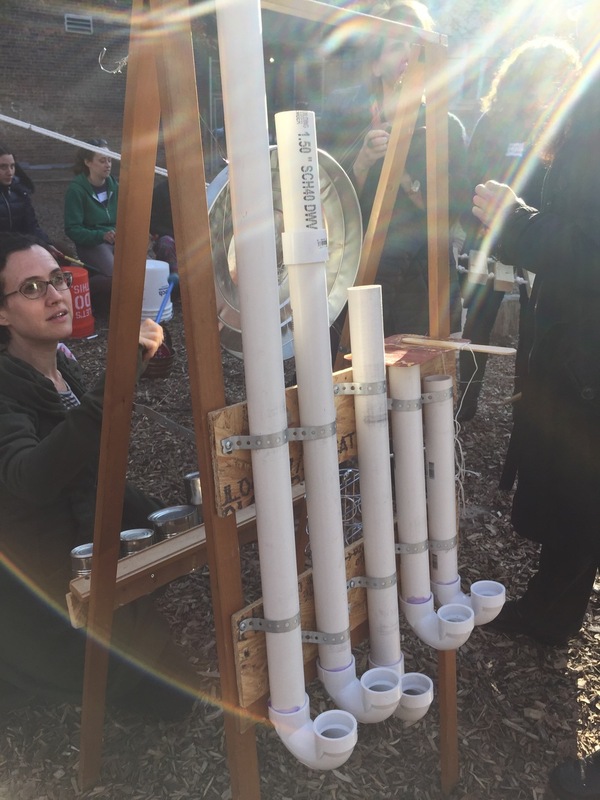 Anetta will share with participants how the idea of creating an outdoor “sound scape” space developed in the 4/5s class, and will introduce seemingly simple sound activities using a variety of re-purposed and everyday materials. Linda White, Play Curator of Imagination Play Project. In this hands-on workshop, Linda will invite participants to explore open-ended materials and sources of light. Drawing on her extensive experience working with children and families with different needs and abilities, she will share with you the possibilities of reaching all kinds of learners through the language of materials. Participants will have the opportunity to manipulate a diverse array of materials such as metal springs, transparent plastics, objects with interesting textures and degrees of opacity - and explore them using overhead projectors and light panels. 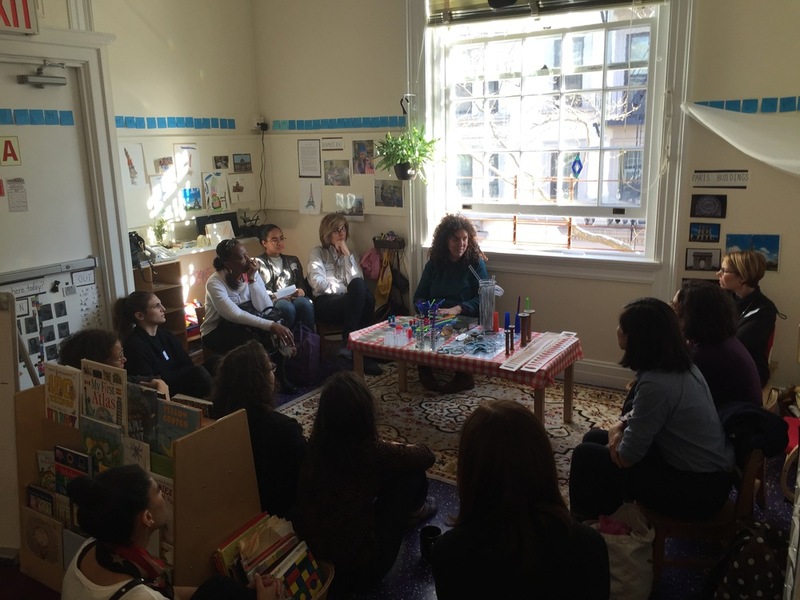 Shelly Gargus and Yeshnaya Dougherty, 4/5s Teachers at Beginnings Nursery School, Manhattan. 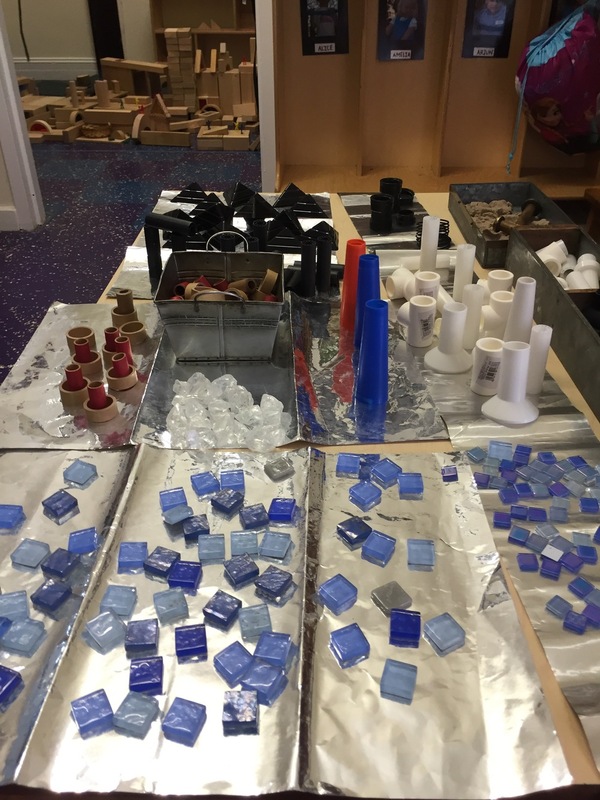 Shelly and Yeshnaya believe that using recycled materials are an effective and uniquely inspiring way to challenge and authentically assess children in the areas of problem solving, perseverance, creativity, collaboration, and executive function. 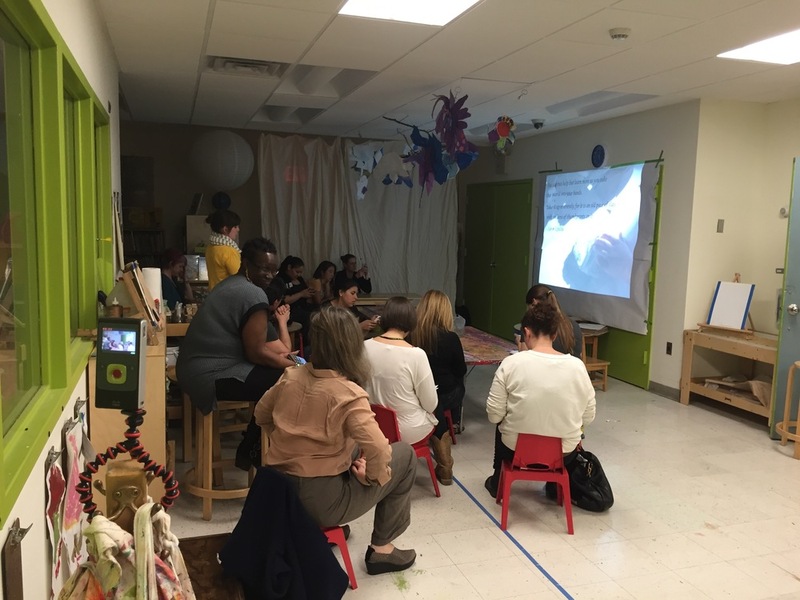 They will share examples from their classroom and how they have used recycled materials in multiple ways ranging from classroom management, to academic motivation, and as tools for long-term curriculum development. There will be a hands-on opportunity for attendees to experience the materials followed by a discussion about the experience. $20 Member price BECOME A MEMBER!